Last Saturday saw an overcast morning greet the many parents, teachers and children who arrived to create our Harvest Market – ‘love our seasons’ initiative. All the tables had been laid out in anticipation of being decked out with delicious, beautiful and autumn inspired goods and food to beckon the market goers. And arrive they did. In no time the school was a hive of warmth and activity as the community gathered, greeted and enjoying the lovely atmosphere. There was something for everyone and the children were delighted with all the games and activities in which they could participate. From the thrilling haunted room to the invitation to ‘put your hand in the monster’s mouth’ (squeals of delight) to good solid games and fun activities, such as making your own beautiful t-shirt and or candle, there was never a dull moment. And parents could enjoy piping hot pizza, good coffee and cakes, a curry from the school shop and to finish it off with jelly and custard or a range of gourmet ice-creams. 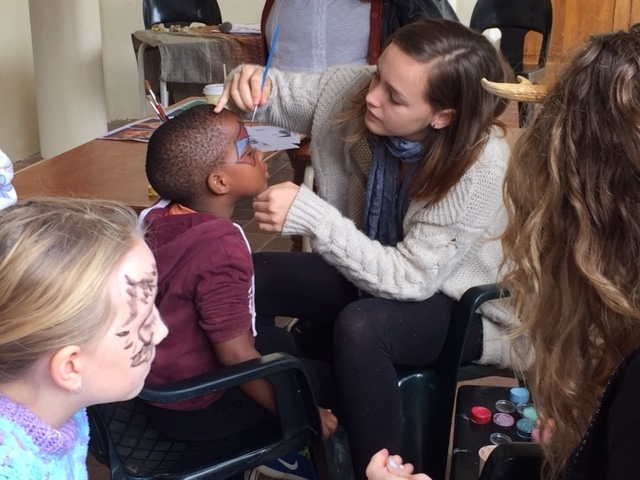 Wide smiles were seen on visitors faces as they experienced the Stellenbosch Waldorf School community and it’s colourful market atmosphere and left satisfied. A warm autumn shout-out to everyone who made this special day possible and the community who created it by your contributions and presence. We can’t wait for our ‘Love our Winter Market’ next term. A warm friendly community spirit prevailed! A gorgeous morning of sharing!